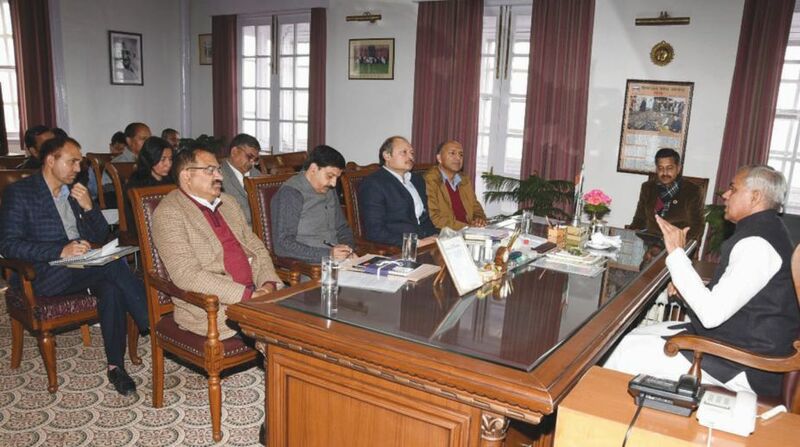 Governor Acharya Devvrat on Saturday said a team of experts will visit the Guntur district of Andhra Pradesh from 7 to 11 March for effectively implementing the zero budget natural farming in Himachal Pradesh. The team will submit its report to the state government before 17 March, the proposed date of state level conference on natural farming, he said after a meeting with officials for implementation of zero budget natural farming. He said HP should take the services of former Chief Secretary of Andhra Pradesh government, Dr Vijay Kumar, who is currently the Chief Advisor, Agriculture, in this field as he was working from last several years in this direction. “He has successfully implemented zero budget natural farming system in about one thousand villages of the state in two and a half years. We can move forward with their model. Apart from this, farmers can be trained by taking services of Padam Shree Dr Subhash Palekar as a scientist,” he said. Acharya Devvrat said that the model was more effective for small farmers and especially in the horticulture sector. It is also helpful in doubling the income of farmers and added that it would be a big contribution to the state, so the officers should work with dedication and mission. “This system has six advantages directly, save the water, protect the environment, fertility of land will increase, cow protection, product better for health and farmers will survive,” he said. He urged the Animal Husbandry department to work towards breed improvement and especially to make available the high yielding semens of Sahiwal, Tharparkar and Red Sindhi Bulls to farmers. He said that it was the need to work in this direction and save the indigenous cow. He also urged the departmental to undertake training and take advantages of centrally sponsored schemes for breed improvement.